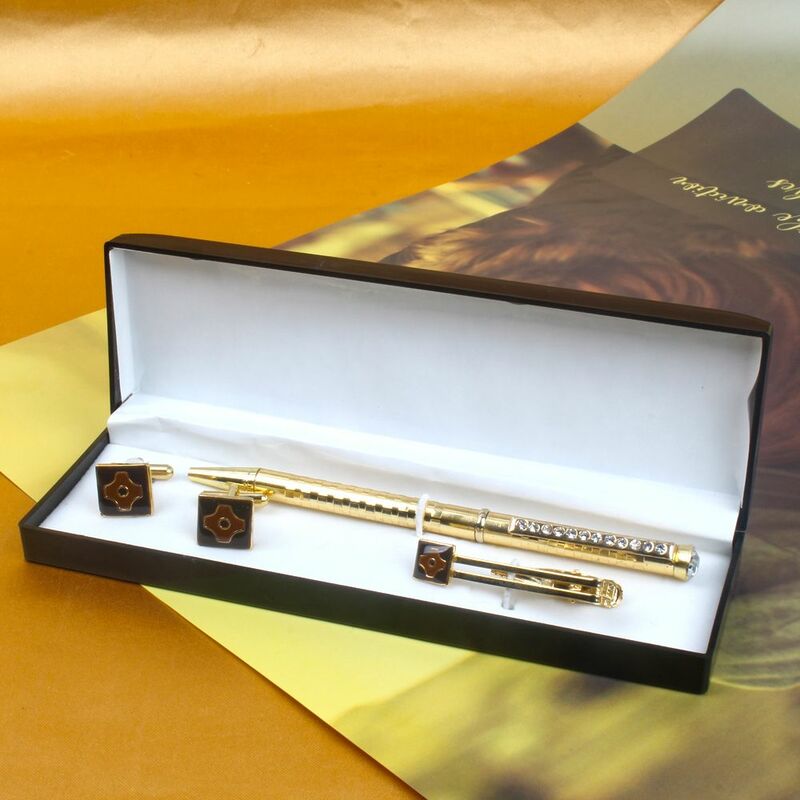 Product Consists : Square with Unique desgin Cufflink and Tie Pin coated with golden colour along with Golden diamond studded Pen in a Gift Box. Surprise your love one with this special gift for special occasion. 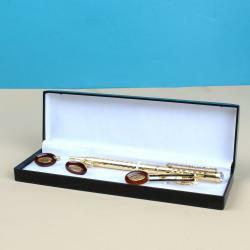 Giftacrossindia.com brings to you this very adorable gift combo which is all set to make the recipient feel special. This gift combo is comprising one gift black box. The box is filled with tie pin, pen and a set of cufflinks. Both cufflinks and tie pin are adorned with unique design on it. Printed design on cufflink makes it look very beautiful. 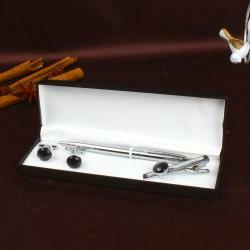 The pen available on this gift combo is very well designed and looks very attractive with its diamond studded designs. So go ahead, place your order now. 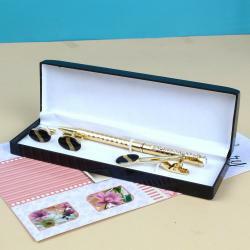 Product Consists : Square with Unique design Cufflink and Tie Pin coated with golden color along with Golden diamond studded Pen in a Gift Box.